In the first of a series of informative new posts here on the blog, we’re going back to basics and taking a closer look at rotational moulding – what it is, how the process works, and what the benefits are. Rotational moulding – frequently known as ‘roto moulding’ – is a plastics moulding process used to create seamless, hollow, one-piece items. How does the rotomoulding process work? Rotomoulding is a relatively simple plastic moulding technique that uses a hollow mould, usually made from aluminium or stainless steel. Plastic, usually in powder form, is placed into the mould which is closed, then rotated on two axes. While it rotates, the mould is heated to a very high temperature, gradually melting the plastic inside. As it continues to rotate, the plastic layers up on the inside of the mould. Once all the plastic has melted, the mould is moved to a cooling station, where its temperature is reduced using jets of air and, sometimes, a fine mist of water. The plastic inside solidifies, creating a solid, hollow shape. Once the now-solid plastic item has cooled down enough, it is released from the mould and left to cool completely. What are the benefits of rotomoulding? Unlike many plastics moulding techniques, rotomoulding doesn’t involve pressure. For this reason, the custom-shaped metal moulds involved in the process are relatively inexpensive to manufacture and can be used for comparatively short production runs without too much expense. Rotomoulding is a very versatile process, and can be used to make an infinite range of products, with very few limits on the size or shape of the item being produced. Rotomoulding creates products that are seamless and stress free, with uniform wall thickness. The process also involves minimal waste, as the plastic needed for each run is determined by weight before being placed into the mould. What is rotomoulding used to make? Because of its versatility, rotomoulding has an unlimited number of applications. As long as the product is seamless, plastic and hollow – and the appropriate mould can be produced – the choices are endless. Why choose Excelsior for your rotomoulding needs? Here at Excelsior, we offer a comprehensive rotational moulding service that’s designed to give you the best results on one-off or batch production runs. Our friendly design team can aid you in the concept stages of your product, using the latest in CAD product design techniques. 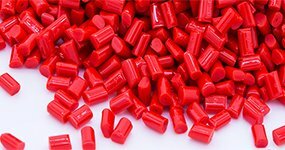 Our wealth of experience in rotational moulding means we can take your unique requirements, however complex, and translate those into a mouldable product. You’ll be kept informed at every stage of the process, and we pride ourselves on creating finished results that will meet even the highest expectations. Take a look at some of the rotomoulded products we manufacture, or contact us today on 0161 765 2010 to discuss your bespoke rotomoulding requirements.